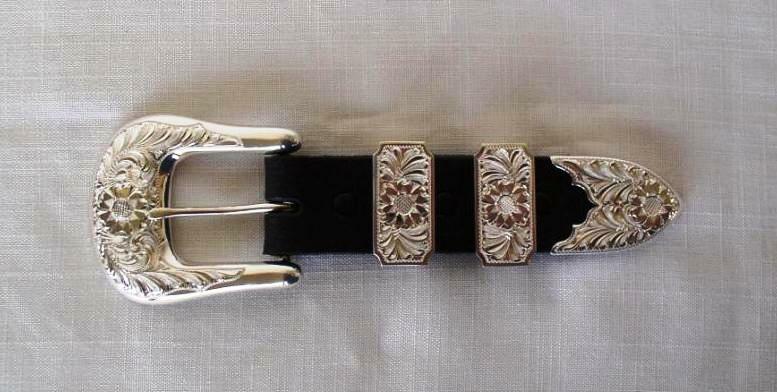 You will not be disappointed with these extremely nice hand engraved buckle sets. 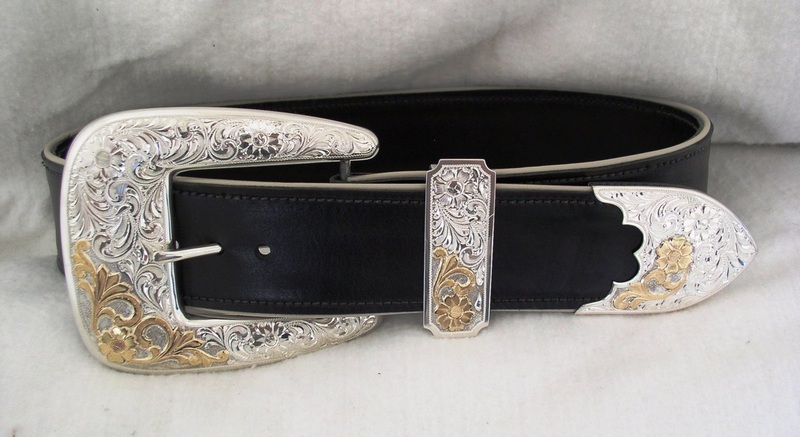 Gene constructs his buckle sets from all sterling silver and as shown below, they are offered in four basic styles and accept three different widths of belts: 3/4", 1", and 1-1/4". Pricing reflects one keeper. 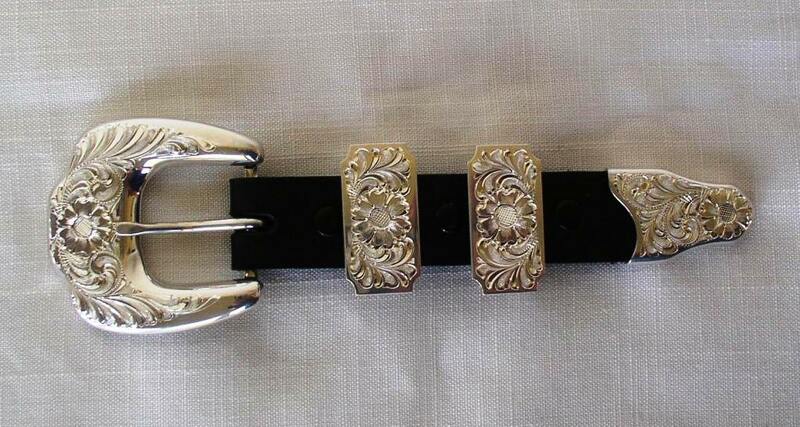 Extra keepers, as well as other options, are available as shown below. 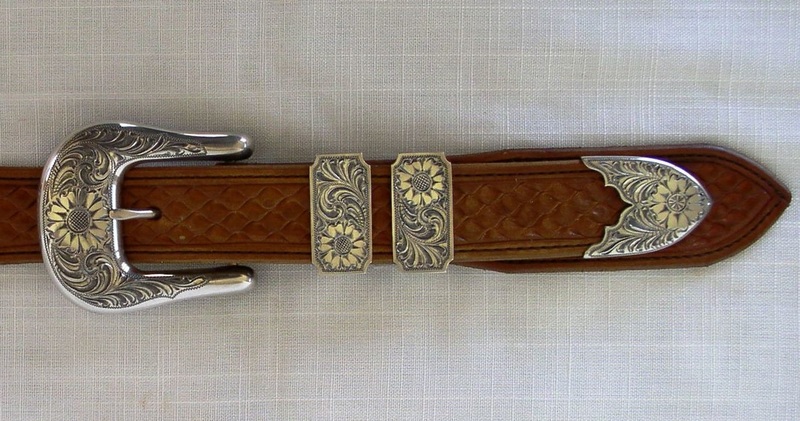 Here are a couple of nice examples of extra fancy buckle sets. 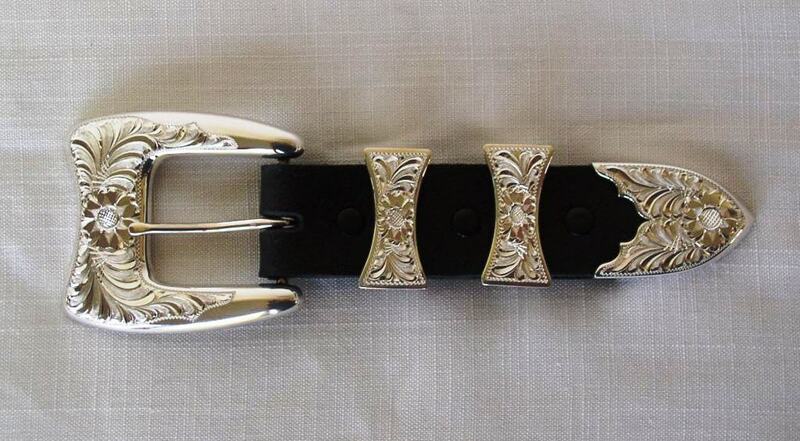 Everything about this buckle set makes a bold statement. Going the extra mile with this nice piece.